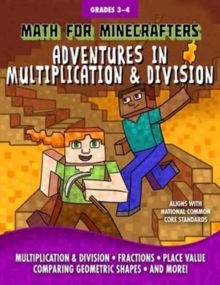 With Math for Minecrafters: Adventures in Multiplication & Division, learning time feels more like game time!This kid-friendly workbook features well-loved video game characters and concepts to reinforce the development of third and fourth grade math skills laid out in the national Common Core State Standards. 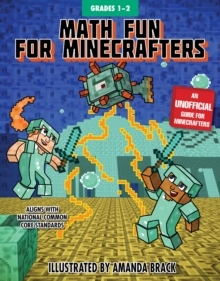 Colorfully-illustrated puzzles and high-interest word problems use beloved items from the Overworld like diamond swords, suits of armor, zombies, and magical potions to encourage math practice in even the most reluctant of students. 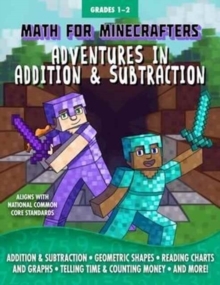 The curriculum-based content covered here includes lessons in:Analyzing and comparing geometric shapesUnderstanding fractions and place valueMultiplication and division up to 100And so much more!Skip to the pages that suit your child's needs and learning style or start at the beginning and advance page by page it's up to you! 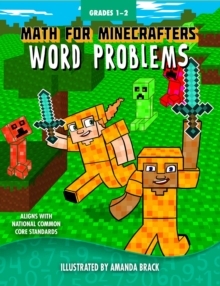 As the workbook progresses, the problems become more challenging so that learners of all levels can enjoy an exciting, skill-building math adventure. 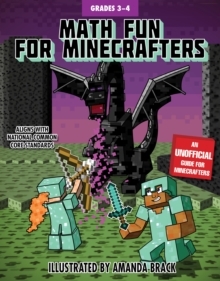 Perfect for Minecrafters who learn at all paces, Math for Minecrafters is as fun as it is educational and is just what your child needs to get ahead academically!This adventure series is created especially for readers who love the fight of good vs. evil, magical academies like Hogwarts in the Harry Potter saga, and games like Minecraft, Terraria, and Pokemon GO.